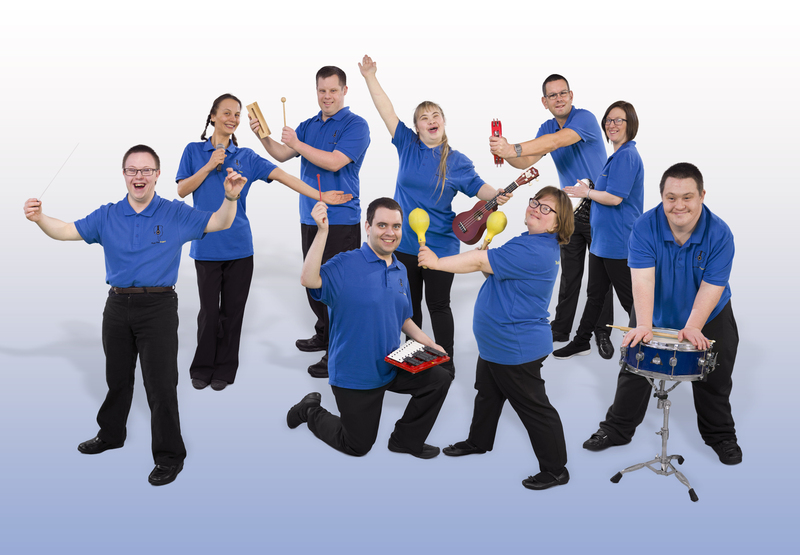 The Music Man Project UK is an award-winning, world record-breaking music education service specifically for children and adults with learning disabilities. It was founded by former Deputy Head Teacher, David Stanley, to meet a growing demand from parents for regular and accessible musical opportunities for their children. The Music Man Project nurtures their innate musicality, delivering education, enjoyment and performances through the teaching of original music at special schools, colleges, care homes, weekly music schools and daily adult classes in the community. The Music Man Project offers the same opportunities enjoyed by aspiring mainstream musicians by providing the best tuition, instruments, musical repertoire and performance platforms available. It currently operates in Essex, Suffolk, Sussex, Kent, Hampshire, Bristol, Lincolnshire, Scotland, South Africa and India. It supports schools, the Salvation Army, local Mencap societies, Music Education Hubs and individuals in fulfilment of its objective to establish a specialist music service in every county in England, in every country in the UK and in every continent in the world. The Music Man Project delivers inspirational concerts and workshops across the country which raise awareness and challenge misconceptions, such as a Remembrance Day concert at the Royal College of Music, a performance to close World Mental Health Day at the Royal College of Psychiatrists, entertaining 39,000 runners at the London Marathon, performing at Royal Mencap’s first National Conference and presenting two unique ‘Sunday Night at the London Palladium’ concerts called ‘Music is Magic’. The 2017 Palladium production played to a sell-out audience of over 2000 people, including HRH the Countess of Wessex. It featured a successful Guinness World Record for the largest ever triangle ensemble and the world premiere of a new musical called ‘The Label’, based on the book by Caroline White. The concert was featured on BBC1 Breakfast and helped Royal Mencap to celebrate their 70th anniversary and commemorate the life of the late Lord Brian Rix. 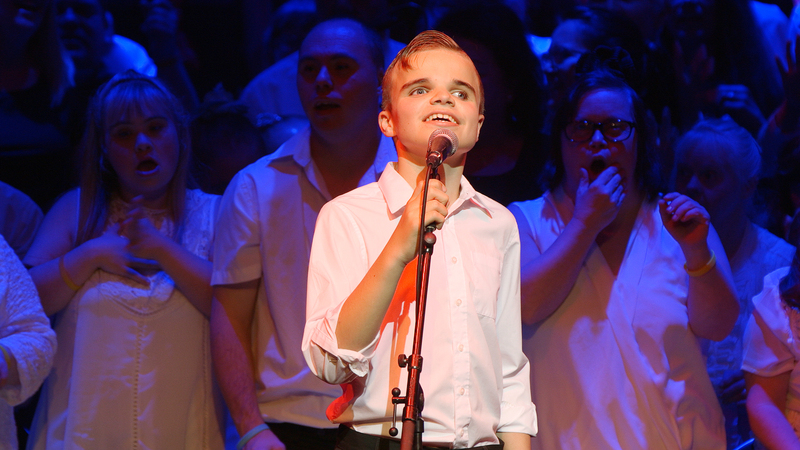 The Music Man Project’s charity single from their recent album ‘Music is Magic’ topped the Amazon Broadway chart and the e-book, “Music is Magic: The Story of the Music Man Project” led the Amazon Kindle Special Education chart. The Music Man Project has been shortlisted to the final of the Music Teachers Awards for Excellence twice in the last three years (Best SEN Resource category) and won the 2016 Kids Count Inspiration Best Creative Contribution Award. It has been praised by two Prime Ministers and described as outstanding by OFSTED. The Music Man Project supports doctoral research at the Royal College of Music into the effect of musical participation on health and well-being for people with learning disabilities. The partnership, initiated through Regional MMP Director and Royal College PhD student, Natalie Bradford, included performances, workshops and undergraduate training to prepare the next generation of specialist music educators in this sector. David Stanley helps other organisations set up their own version of his original model in communities around the UK and beyond, following a not-for-profit franchise model. In 2016, he led a 10-day teaching and research trip to children homes, day centres and an orphanage in South Africa. In 2018, he established Music Man Project India during a 7-day visit to special schools, colleges and care homes in Bangalore. The Music Man Project has published a songbook, released an album and produced a range of online content to support families and teachers, including sheet music, lyrics, signs, backing tracks, video demonstrations and supporting explanations. This is provided free of charge, alongside training, mentoring and consultancy for musicians, schools, charities and arts organisations. The Music Man Project develops the musical instinct that lies within us all to instil confidence, self-esteem and as a vehicle for joy and emotional expression. Rather than focusing on their disability, all students are treated as musicians and Southend Mencap, the charity which runs the project, has only the highest aspirations for what can be achieved by everyone involved in this unique innovation. The musical outcomes are presented to the public in large-scale performances as a way of educating the wider society about what people with disabilities can do rather than what they need. David Stanley campaigns for equal opportunities for musicians with learning disabilities to perform at the most prestigious concert venues and high-profile events. The Music Man Project UK will perform at the iconic Royal Albert Hall on 15th April 2019. Find out more on our featured performances page.